Despite the overwhelming demand after my first book (below) from hundreds of people begging me to never write another book, I am pleased to announce I wrote another book. It’s called I am So Sick of White Guys – The Coloring Book Experience. It’s a joint collaboration with my fellow humorist, Jim Corbett, with illustrations by caricature artist Steve Hartley. 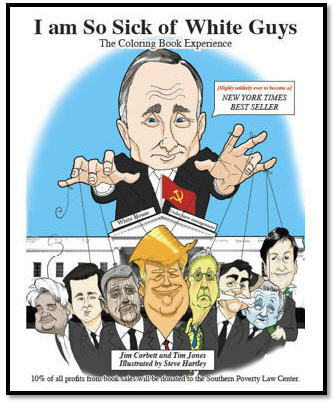 That’s right, for the first time ever – and quite possibly the last – this innovative book mixes two genres together – political satire and adult coloring books. These two genres have NEVER been combined before – and probably for good reason. We wrote this book mainly to annoy all our far right conservative friends. So far, it appears to be working like clockwork. The book costs just $10.00 – unless you’re a Trump supporter, in which case the book costs $500.00. And if you’re a Trump supporter, trust me, you’re not going to appreciate this book, so I would just stop reading now. Order it today. Shipping is free for Amazon Prime members (or $249.95 for Trump supporters). The book costs just $10.00. Surely you’re not so cheap that you have to think about whether you can afford it, are you? This book was published by CreateSpace and is currently available as a paperback (and soon as a Kindle). It is also available at other major online retailers everywhere, particularly the ones that will just sell you any sort of crap and have no literary standards. You read that correctly. We are donating ten percent of all profits from book sales to the Southern Poverty Law Center, the premier U.S. non-profit organization monitoring the activities of domestic hate groups and other extremists – including the Ku Klux Klan, the neo-Nazi movement, neo-Confederates, racist skinheads, black separatists, anti-government militias, and others hate groups. Order a copy of this book and you will be doing a small part to fight hatred, bigotry and social injustice in the world. Buy 10,000 copies of the book and we will personally publish the Russian hotel room tape of Trump with the hookers and bring him to justice once and for all – just as soon as we can locate the tape. and I Will Put You In My Will!! I am thrilled to inform my loyal View from the Bleachers readers – and even those of you whose loyalty I question – my newest book is now available for purchase. If calling it my “newest” book leaves you with the impression that I’m a prolific author who has written a collection of books, I’m okay with that. 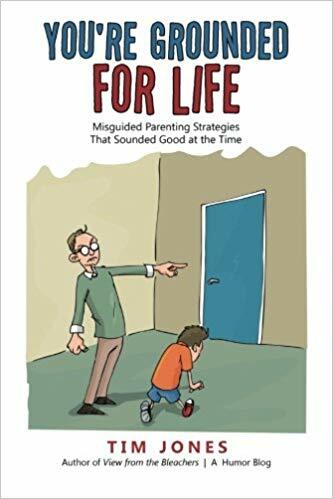 It’s called YOU’RE GROUNDED FOR LIFE – Misguided Parenting Strategies that Sounded Good at the Time, and it’s now available for purchase at fine retailers everywhere, as well as a few shady outlets I would never set foot in. My book was published by LULU Press and is currently available as an eBook or paperback at Lulu.com. In addition to Lulu.com, it is also available on at https://www.amazon.com/Youre-Grounded-Life-Misguided-Strategies/dp/148344354X/, BarnesandNoble.com and other major online retailers everywhere (with the possible exception of Latvia – Latvians never seem to have appreciated my sense of humor). Buy the paperback version here – for the insanely low price of $9.95 (Allow 3 – 5 business days for delivery). Buy the eBook version here– for the ridiculously low price of $6.99 Note: this eBook was created in the ePub format (not PDF format), so that it can be viewed on eBook readers. If you can’t open this eBook on your reader after downloading it, you may need to download Adobe Reader – Digital Edition, which you can download for free from the Adobe website here. What is YOU’RE GROUNDED FOR LIFE about? Glad you asked. It’s a collection of some of my favorite essays about the myriad of challenges of parenting in the era of Facebook, texting and selfies. If you’re a parent – or just thinking about making arguably the biggest mistake of your life by starting a family – then YOU’RE GROUNDED FOR LIFE may make you a better parent. Probably not. In fact, I’m laying 10-to-1 odds it won’t. But you never know. Every once in a blue moon a fan sinks a free throw from half court at halftime during an NBA game and receives a check for $10,000. So anything’s possible. Whether you’re the parent of a toddler, a middle schooler or a college sophomore, you’ll find innovative parenting strategies I have tried – all with disastrous results. If nothing else, comparing your own frustrated parenting efforts to the misguided parenting strategies described in this book is pretty much guaranteed to make you look like a finalist for Parent of the Year by comparison. How to administer punishment effectively, how to get your kids to do their homework without having to nag them, and how to make sure your kids grow into respectful, conscientious, loving siblings are all excellent topics that I wish I had thought to include but completely forgot about until just now. Drat! The book contains a variety of powerful, innovative child-rearing strategies, which, if applied exactly as I recommend in my book, will most likely result in only minimal long-term damage to your child’s fragile psyche. 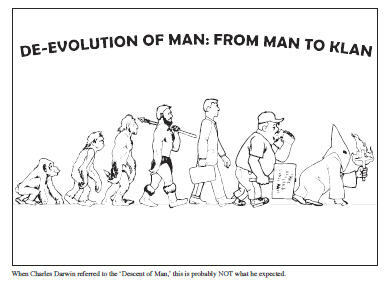 ✭✭✭✭✭ “This guy writes like Dave Barry! I laughed from beginning to end. Wish he had more books I could read. Highly recommend this!” – Miriam T.
✭✭✭✭✭ “Tim Jones makes an excellent case for birth control. He brought back memories that took years of therapy to deal with. Tim has a tremendous wit and this is great. Totally entertaining!” – Doug P.
✭✭✭✭✭ “To quote well-know sage and humorist Steven Colbert, “I laughed, I cried, I lost 15 pounds” after reading this book. But mostly I laughed. As a parent who also raised two daughters, Tim’s very funny insights into the complicated and utterly bewildering job of parenting certainly hit home with me, as I’m sure it will with most parents and their children. Give it a read. I can’t guarantee you will lose 15 pounds, but you will be smiling, and perhaps crying, throughout as you recognize your family dynamics in these pages.” – Steve M.
✭✭✭✭✭ “A witty, honest and fun read for parents, for people thinking about becoming parents, and for those looking for reasons to avoid becoming parents.” – Stephen F.
✭✭✭✭✭ “I don’t know if you have to be a parent to enjoy this book as much as I did, but I think it helps. 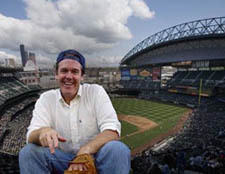 There is a sort of sly experienced wisdom to the broad comedy Tim Jones deploys so deftly, and it helps strike the balance every parent recognizes between sheer absurdity of life with kids and the unexpectedly profound moments that seem to come wrapped in angst, tears, unidentifiable goo, and head-shaking. I recommend YOU’RE GROUNDED FOR LIFE, whether you’re early in the kid-raising going or an old hand whose offspring are safely parceled off someplace far from home, and especially encourage it as a baby-shower gift to first-timers– you can’t be too prepared and this book could well be that long-sought-after text on what is really ahead.” – David G.
✭✭✭✭✭ “A funny and heartwarming gift for parents to be or anyone struggling with parenting issues. The author’s perspective on life with kids is a series of essays that cover just about every child rearing mood and moment. Reading this book is like binge-watching your favorite sitcom…you can’t put it down for fear the laughing will stop and reality will kick in.” – Anne B. ASK ABOUT VOLUME DISCOUNTS: Buy 1,000 or more copies, and I will personally come to your house and carpet shampoo up to four rooms of your choice. Purchase 5,000 copies and I’ll rename my eldest daughter after you. MY PERSONAL MONEY-BACK GUARANTEE: If you follow the parenting strategies detailed in this book, and after six months your kids’ behavior has not improved 1000%, then you must be doing it wrong. Good luck getting your MONEY BACK. Buy the Paperback version here – $9.95 (Allow 3 – 5 business days for delivery) Buy the eBook version here – $6.99 Note : this eBook was created in the ePub format (not PDF format), so that it can be viewed on eBook readers. If you can’t open this eBook on your reader after downloading it, you may need to download Adobe Reader – Digital Edition, which you can download from the Adobe website here.